« David W. Smith reaches 3000 LinkedIn connections. Are you well connected? Interactive Selection has been an affiliate member of TIGA for 10 years – ever since the association was formed back in 2001. 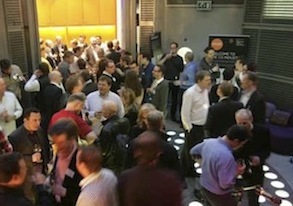 TIGA celebrated its 10th anniversary on Thursday 14th April where it marked a decade of advancing the interests of the UK games industry with a party held at Channel 4’s Central London studios. The event was attended by over 100 of the leaders of the UK companies which TIGA represents including David Smith from Interactive.